Jordan Rickards is an experienced New Jersey Personal Injury Lawyer. He’s ready to listen to the details of your case today. 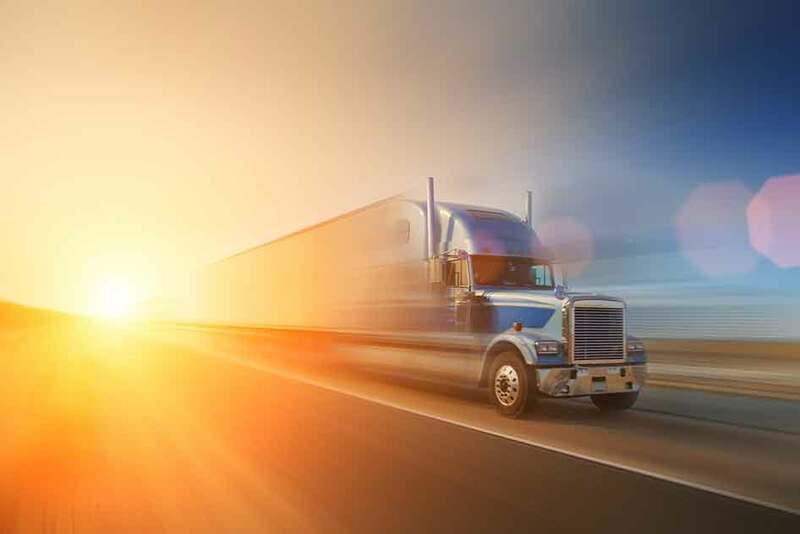 Whether you are driving on the New Jersey Turnpike, the Garden State Parkway, the Atlantic City Expressway, or another may interstate or highway in the state, you will likely be sharing the road with many large trucks. Even drivers on local roads can find themselves behind a semi-truck carrying goods to local businesses. Many New Jersey drivers get behind the wheel without incident. But large truck accidents happen much more often than they should. These collisions often result in debilitating and fatal injuries. According to the Insurance Institute for Highway Safety (IIHS) and the Highway Loss Data Institute (HLDI), most deaths that occur in truck collisions affect passenger vehicle occupants. Large trucks typically weight between 20 and 30 times as much as a passenger car or SUV. They also have a greater ground clearance. That means motorists riding in smaller vehicles tend to sustain very serious injuries when they collide with a big rig. If you or someone you love recently got hurt in a trucking crash, an experienced New Jersey lawyer can assist with your case. An advocate at the Law Office of Jordan B. Rickards can speak with you today about your options for seeking financial compensation. Majority of deadly trucking crashes occurred on the weekdays. Inclement weather, or poor driving conditions. Designer of a truck part. Non-economic damages (damages tied to intangible, subjective losses, such as pain and suffering). In some cases, punitive damages also may be appropriate. Punitive damages are not designed to compensate a victim for losses, but rather to punish the defendant for particularly harmful behavior. Under New Jersey law (N.J. Rev. Stat. § 2A:15-5.9), punitive damages cannot excede five times the amount of a compensatory damages award or $350,000—whichever of the two is greater. What happens if you are partially responsible for a truck accident? In other words, can you still file a claim and seek compensation? Under New Jersey’s contributory negligence statute (N.J. Rev. Stat. § 2A:15-5.1), a plaintiff can still recover damages as long as she is not 51 percent or more to blame. However, the percentage of negligence decreases the award by the exact number. For example, if a plaintiff receives $100,000 in damages but is 20 percent responsible, her award drops 20 percent (or $20,000), and she would recover $80,000. However, once the plaintiff is found to be 51 percent or more to blame, she cannot recover anything. When a collision with a large truck causes an injury, you only have a specific period of time in which to file your claim. This is the “statute of limitations.” Under New Jersey law (N.J. Rev. Stat. § 2A:14-2), plaintiffs who get hurt in truck accidents have two years from the date of the accident to initiate a claim. In other words, the statute of limitations begins “running” as soon as the plaintiff suffers an injury. If the plaintiff fails to file her lawsuit within two years from that date, New Jersey law says that she cannot obtain compensation through a personal injury claim. If you or someone you love suffered injuries in a collision with a semi-truck, you may be able to file a lawsuit in order to seek financial compensation. Trucking accidents can be devastating to the injury victims and to their families since these crashes so often result in life-threatening or even deadly injuries. When injury victims survive truck accidents, they frequently find themselves unable to work and to earn a living while trying to find a way to pay for significant medical bills. An aggressive New Jersey truck accident attorney can get started on your case today. Contact the Law Office of Jordan B. Rickards to learn more about how we help New Jersey plaintiffs with personal injury claims.